In May 2006, armed only with a small rucksack and a staff, Tony Kevin, an overweight, sedentary, 63-year-old former diplomat, set off on an eight-week trek across Spain. But this was not just a very long walk - it was a pilgrimage. From Granada, in the southeast, to Santiago de Compostela, in the far northwest, Tony followed the Via Mozarabe and the Via de la Plata, two of the many pilgrim trails that crisscross Spain and Portugal and that all lead to a single destination. In the Middle Ages, the cathedral city of Santiago de Compostela was Europe’s most famous centre of pilgrimage, and in recent years it has enjoyed a remarkable revival; every day towards noon, hundreds of hot, tired, and dusty pilgrims stream into Santiago Cathedral for the daily Pilgrim’s Mass. Would you listen to Walking the Camino again? Why? Yes I will listen to this book at least 3 times. Best book on the Camino Pilgrimage. History of Spain, history of the pilgrimage over the years, the variuos camino routes, how to do it, gear, practical tips, good visuals, best exposition on the external and internal experience. 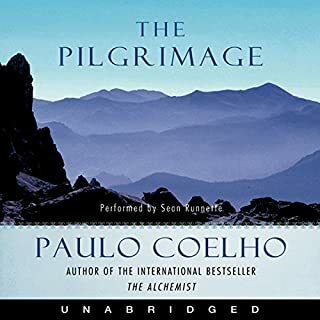 A must read or hear for any potential pilgrim or vicariuos pilgrim. I love this book! Clear voice, keeps it interesting, I think he captures the voice of the author very well. God and man in Spain. I felt like was there with the author. What disappointed you about Walking the Camino? It is a good book if you are interested in the author's view on Global Warming, Geo-political issues, world history etc.Less about the camino then I liked. What could Tony Kevin have done to make this a more enjoyable book for you? Should have been called something else. Would you listen to another book narrated by James Millar? Lovely with the odd dry spell. A well written book with some really interesting bits. There is the odd passage where the Spanish is read out that were too long for my liking but generally a small price to pay. Maybe 5% detraction and well worth persevering through. Happy I hung in there! When I first began this book, I was a little put off by the narrators slow and somewhat monotonous tone of speech, but I kept going because I wanted to hear the story. I am about to embark on my own Camino, and I'm enjoying all the different stories that are available. This writer did a different route than what I am planning, so I wasn't into the details of the specific villages, albergues, etc. Over time I grew accustomed to the speech, and even quite fond of it. I found the last few chapters to be the most enlightening and inspirational for me, but felt that I benefitted most by being with him thru the whole book. About more than just the pilgrimage. I very much enjoyed it, and am listening again. Ruminations on country, faith, humanity, purpose. I enjoyed the author's honesty and openness. I found him to be very humble. He added a significant amount of history and cultural observances to help the reader grasp a fuller picture of the areas he travelled. I honestly would have enjoyed a little less detailed history and more daily experience - but I was looking for a little lighter read and something to "take me there" rather than teach me about the various historic and political details. However, it was well written and enjoyable. This would be a good reference for one planning their own pilgrimage or a trip to these regions of Spain. I enjoyed the author's spiritual openness with his faith and learning about his growth along the Camino. I typically like to read books narrated by the author, but I thought this was well done. I would read other books narrated by James Miller. Great Camino Story: lots of background! This pilgrims tale was very informative on a route much less traveled. 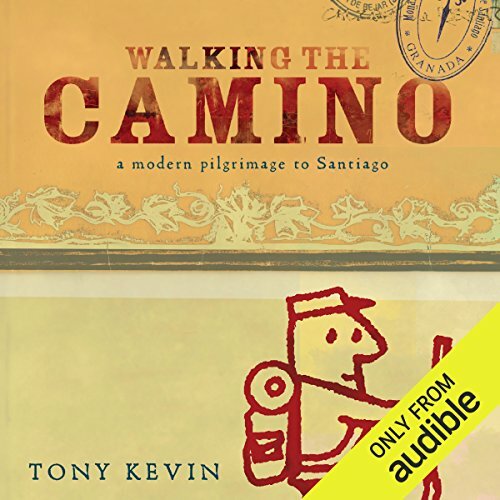 Mr Kevin give us not only an account of a modern pilgrims Joy's and travails on what is considered by many to be a challenging route, he informs the reader/ listener about many aspects of the Caminos history, and Spains history and culture. 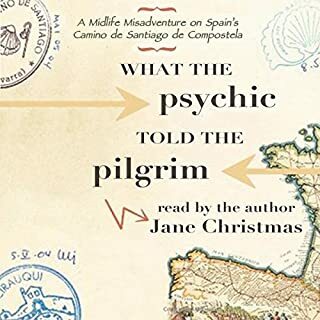 I'd read a number of books about the Camino and Spain prior to doing two Caminos and was surprised by the wealth of information contained in this one. I' m inspired to both read further and to put the Via de la Plata on my must walk list. The performance of this book on the other hand left much to be desired. As I assume Mr Millar was paid for this performance I would expect a more professional approach to the material performed. Many place names and Camino related terms can be challenging to an English speaker; but the narrator is not a casual tourist but a professional speaker. Many of the place names and terms came up repeatedly and I hope I'm not being too harsh when I say it was like nails on a chalkboard hearing an otherwise solid performance so compromised. A bit more prep would have gone a long way. Overall Is still heartily recommended this book to anyone considering doing a Camino, or reflecting back on one! 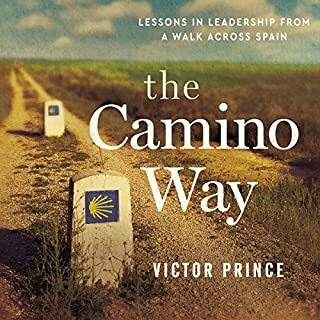 It would have been a good book if the author stuck to facts about the history of Spain and the movement of the spirit while walking the Camino. Instead it digressed into political bashing. 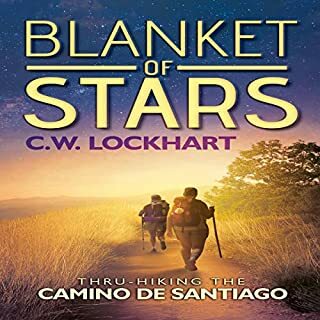 Has Walking the Camino turned you off from other books in this genre? No, just just this author. Which character – as performed by James Millar – was your favorite? a great book worthy of a read. I would recommend you take the time to consider. About 80% is about Spanish history, regions, politics, how Chritianiy was mean to the Moors, (nothing about how Moors were mean to everyone). The narration is a droning monotone and doesn't help the story. Sorry but I cannot recomend this one. I have known about the Camino for some years and it is a pilgrimage I hope to take one day. This is what attracted me to the book. Overall, I found the book both helpful and inspirational in the sense that it has strengthened my resolve to undertake this pilgrimage. The only reason I have given it 4 stars rather than 5 is that it occasionally descended into a preachiness about matters peripheral to the Camino that seemed out of place in this book. Would you be willing to try another book from Tony Kevin? Why or why not? What three words best describe James Millar’s voice? Do you think Walking the Camino needs a follow-up book? Why or why not? I downloaded this title to listen to while my Brother walked the Camino. The author takes the opportunity to give political and historical background to the land he is walking through but then expands into opinion and agenda. 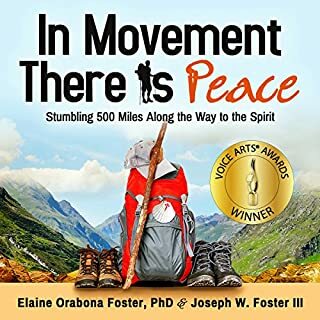 He writes with authority that borders on arrogance and avoids the more common trait of this sort of book to leave the reader feeling he was on a journey with someone experiencing the walk for the first time. I have listen to several books describing long walks and enjoyed the adventure but found myself frustrated a little with this one for its tendency to polemic. I bought this book as I was interested in finding out more about Walking the Camino. I got this and much more. The history of the walk, Spanish history, Spanish politics, Spanish countryside and the towns along the walk. I also got to enjoy the thoughts and experiences of a great writer. This Australian writer is fascinating and tells an honest experience. Superb book read by a great narrator. Chapter 13 don't bother reading, inaccurate diatribe about Catholic Church who according to Mr Kevin have never done anything but good. It was written in 2006 do no excuse. I loved most of this book - well written and the narrator was excellent. There was a little too much history detail and I did need to forward past stages that went to historical detail that was exhausting. If history was what you were looking for AND the story of the authors walk of the Camino this book is for you. It was worth forwarding past information that did not hold interest for me as the content was fabulous. While the book's plot is interesting, anyone with basic Spanish will cringe at the narrator's terrible pronunciation of Spanish words. Why wasn't a native speaker at least consulted? 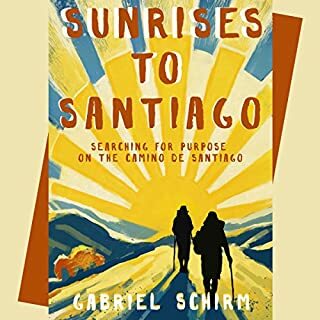 Dated by technology and current events, but an interesting account of an Australian's pilgrimage on a lesser-travelled Camino through Spain from Grenada. Covers everything from what to pack, a good walking staff and why you should wear two pairs of socks when walking, through to the similarities between religions, the history of Spain and major political and current affairs in the first few years of the 2000s. Unfortunately, Kevin's writing style is reflective of his diplomatic background and can be quite dry at times but the listener/reader is left with a conviction that he has done his research. If you read this book, you won't need to read many others on the history of Spain etc.